– Fosters independence for blind and disabled people in our community. – Manufactures high quality CAB Products for customers worldwide. 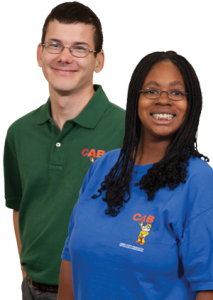 The Cambria County Association for the Blind and Handicapped (CCABH) offers vision, rehabilitation, and employment services to persons with disabilities living in Cambria County, Pennsylvania. At the same time, we manufacture a wide variety of high quality hooks, hangers, and innovative CAB products for customers worldwide. 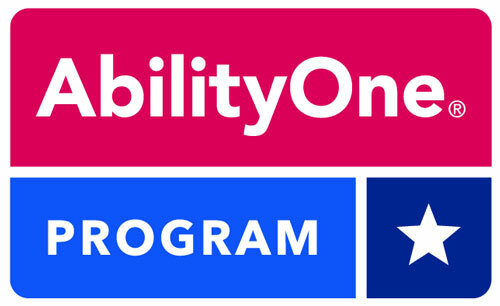 The sale of CAB Products helps support our services to more than 500 persons with disabilities. Click to view our company brochure with great pictures of our employees and operations. CAB Products are used in a wide range of industries from mining to solar power, utilities to shipbuilding, custom sewing, assembly and more. Our products consistently exceed the most stringent quality standards of our national and international customers. Many of our valued customers have been instrumental in helping us develop and refine innovative product lines. Through our manufacturing operations, we provide a safe, supportive workplace for our employees with severe disabilities. Our dedicated staff constantly develops new ways for our employees with disabilities to make CAB Products. We teach, help, and encourage our employees so they may become as independent and self sufficient as possible. Thank you very much for your interest in the Cambria County Association for the Blind and Handicapped.